After a long run or intense training, I’m usually pretty hungry, but also pretty lazy. I don’t want to cook anything and sometimes even a sandwich just seems to take too much effort. 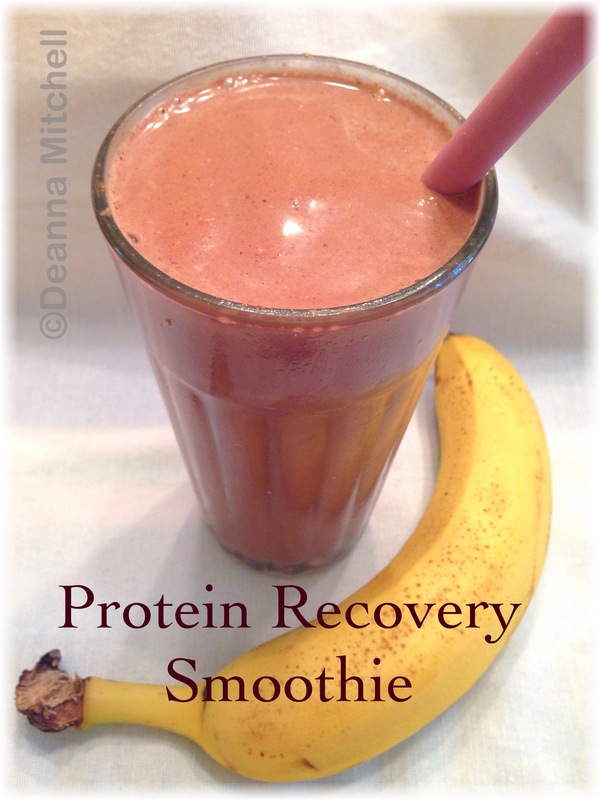 I started making these delicious protein smoothies and they fit my post-run needs perfectly: they are easy, quick, delicious, and healthy. With no mystery ingredients or preservatives, these smoothies taste like a chocolate milkshake (more like a Wendy’s frosty), but fit into a clean eating diet. Win-win! Speaking of bananas, I freeze my bananas in little bags and use them in smoothies right from the freezer. This prevents me from finding gross, rotten bananas in my fruit bowl and they thicken the smoothie more if they are frozen. If you don’t have any bananas frozen, just use a room temperature banana and maybe add a little more ice. No big deal. Raw cacao is an incredibly healthy, minimally processed cocoa powder that retains its antioxidant properties because it is not heat processed. It is more expensive than regular Dutch processed cocoa powder, but it has an amazing, rich chocolate flavor without bitterness. Worth the extra pennies, but you can use other unsweetened cocoa powder as well if that is what you have. Enjoy these warm, summer months, but keep yourself hydrated and your body fed! Serve immediately with a straw or a spoon.